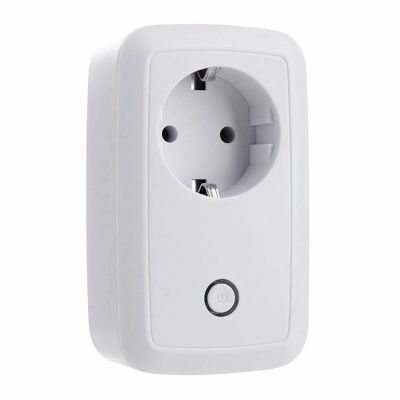 Is there a smart switch or plug that can remotely turn on another smart plug? I have a lamp that is on one side of the room. I have a half-hot plug on the other. I'd like to flip the switch (that connects to the half-hot) and have that turn on the lamp. Can anyone recommend a smart plug or other thing that would allow me to achieve this arrangement? I imagine one Bluetooth plugin telling another to turn on, perhaps. I don't know what I'm looking for, though, or if there are easier ways to achieve this (besides snaking an extension cord across the carpet / room from the lamp to the half hot). Bluetooth isn't very common in that area. Most switches use ZigBee or Wi-Fi. I assume that you don't want to interfere with the actual function of the half-hot in the first place. If you'd use this plug and this switch you could use IFTTT to have the plug activate whenever you activate the switch. However that requires an internet connection and that command will leave your home. If that's a no-go you might want to look into solutions like FHEM which could run on a RPi and issue that additional command for you. The simplest way to achieve this would be to use a common 433 MHz remote control outlet on the receive side, and have something plugged into the switched outlet which transmits an on command on AC power-on, and has just enough reserve capacity in a large capacitor (or else backup battery) to transmit an off command when power is removed. This could effectively be a phone charger + Arduino + 433 MHz TX level of project. There is no reason to go outside the home to an external server/service to accomplish this communication, and plenty of reasons ranging from privacy to reliability (when your Internet modem is down, etc) to avoid doing so. Further, for a such a simple task complex stateful operating systems are unwarranted and their notorious delicacy disadvantageous - this calls for a flash micrcontroller and simple RF solution, not an operating system and wifi level one. Utilizing the MQTT protocol it's easy for one smart plug to publish a command to another, even multiple, smart plugs. You could program one smart plug to turn on other smart plugs as soon as it booted up. 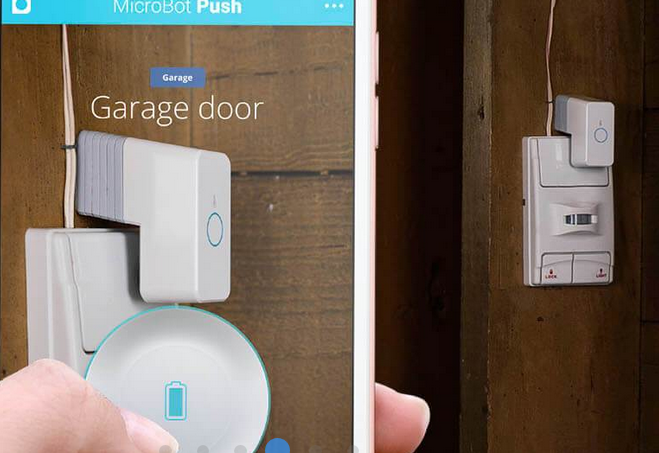 Now the Sonoff smart plugs are WiFi, so they need to connect to the wireless network before they can do anything so there might be a delay. But in my experience they are pretty quick. There are also smart power outlets that work over Wi-Fi. The cheapes is about 20 dollars and you can control it with your smart phone. You can also configure time scheduling, and a set of configuration to creat different ambient in the room depending your activities, e.g. cinema, morning, bedtime, etc. I would suggest smart switches. That can be controlled by Mobile application. Like the Sonoff Basic WiFi Wireless Smart Switch (Cheaper in terms of price) or Caséta Wireless dimmers & switches. Not the answer you're looking for? Browse other questions tagged smart-home smart-plugs or ask your own question. Is it better to control smart lights or smart light switches/fixtures? Just got a Google Home - What smart hub(s) do I need? Can I reset breakers from my computer with the Schneider Smart Panel? Anyone know of a Wi-Fi light switch that works with Linux? Do integrated smart plug sockets exist?